Australia’s wildlife is unique and endearing, with many species found nowhere else in the world. Unfortunately, it isn’t rare to encounter sick or injured wildlife around your home or by the side of the road. My research, recently published in the Australian Veterinary Journal, estimates between 177,580 and 355,160 injured wild animals are brought into NSW veterinary clinics alone every year. But until now, very little was known about what happens to wildlife after they’re brought to a vet. My colleagues and I surveyed 132 veterinary clinics around Australia, examining the demands and expectations of treating wildlife. We also looked for risks to animal welfare as a result of these findings. 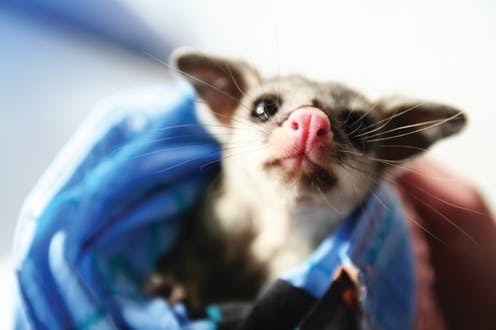 Most clinics only saw a handful of wildlife patients every week, with birds and marsupials such as possums the most common. Sadly, the majority (82%) of wildlife arrived in veterinary care due to trauma of some kind. The most common cause was animals being hit by cars, followed by undefined trauma and predation by another animal. Most clinics examined and treated wildlife for free, with less than 10% receiving some kind of payment. These were usually made by wildlife rehabilitation groups or members of the public. Due to the painful and serious nature of trauma, around a third of clinics reported euthanasia was the most common outcome for wildlife at their clinic. More positively, more than half indicated that wildlife were usually passed onto wildlife rehabilitators, suggesting this is the most common outcome. Almost three quarters of veterinary clinics said they only saw wildlife when they had spare time. This is concerning, as delays to treatment raises serious animal welfare concerns. Additionally, many veterinary clinics indicated they felt a lack of time, knowledge and skills interfered with their ability to treat wildlife. As veterinary clinics are small businesses, wildlife present a conundrum. They are not owned (although technically they are owned by the Crown), expect treatment with no payment and don’t look like the usual pets seen by most vets. With clinics full of paying clients expecting prompt treatment, it can be hard to prioritise wildlife. Ideally, either the state or federal government would take financial responsibility for wildlife. The federal government does pay for some wildlife treatment at private veterinary clinics, but this is part of a biosecurity monitoring scheme and isn’t open to most clinics. Donations from the public to treat wildlife would also likely be welcomed. However, help can come in other ways. 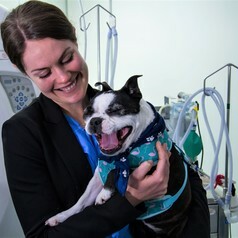 One large clinic in Sydney is trialling an in-house wildlife carer, who would triage wildlife and take responsibility for ensuring wildlife are prioritised. Appointing a “wildlife champion” in a clinic is another option, where an interested vet or nurse is designated the “go to” person for wildlife cases. What should you do if you find injured wildlife? Some animals aren’t actually injured, such as fledgling birds which are learning to fly, and others (such as goannas) can be dangerous, so be sure to seek advice before approaching wildlife. If you don’t know who your local wildlife care group is, type into a search engine “wildlife carer” to locate one near you. Armed with advice from a wildlife carer, ensure you don’t put yourself in a risky situation to rescue wildlife. Take care around busy roads, use a barrier between yourself and the injured animal (such as a towel or welding gloves) and avoid the bitey end! Wildlife are inherently fearful of people, which means they might attack if scared. You don’t want an injured animal to escape in your car on the way to the vet. If the injured animal is a bird, small reptile or baby marsupial, a cardboard box with air holes and lined with a towel makes a good transport container. Don’t offer wildlife food, as they have very special diets and digestive systems. When you get to the vet, ensure you provide detailed information on where you found the animal. If the animal is healthy enough to enter wildlife rehabilitation, the wildlife carers will need to release the animal as close as possible to the location where it was found. This is because many animals, such as possums, are fiercely territorial and often die if relocated outside their territory. Ultimately, many injured wild animals cannot be saved and will be euthanased after being dropped off at a veterinary clinic. This is not a bad outcome. Wildlife aren’t pets – they need to be fit to survive if they are ever going to have a chance in the wild. Injuries such as a badly broken wing or losing an eye would condemn wildlife upon release to starvation or predation. It is much kinder to humanely euthanase injured wildlife which have no chance of survival rather than let them suffer a prolonged death in the wild. Even if the animal you drop off at the vet is ultimately euthansed, you have still saved it from prolonged suffering.